I can help you regain control of your life. Jeffrey Aviles, Certified Hypnotherapist, LCSW-C. I also cooperate with other doctors and physicians in medical groups including Apex Counseling Center, Llc located in Baltimore, Maryland. Do you struggle with believing in yourself? Do you experience moments where you desperately wish you had more confidence? Do you find yourself avoiding conversations with others and thinking that you have nothing beneficial to add to the conversation? Do you engage in behaviors that sabotage the progress you’re attempting to make in life? Are you constantly worried about being left by your significant other or being fired by your job? If you answered yes to any of these questions you may be suffering from low self esteem and low self confidence. As a trained hypnotist, I utilize acceptance and commitment therapy in order to help you gain more confidence and eliminate the false belief that you aren't good enough. Being healthy by losing weight and keeping it off doesn’t have to be your struggle anymore! With hypnosis, you no longer have to let your weight control you. Do you find it difficult to quit smoking? Has a doctor or loved one repeatedly asked you to stop smoking? How much do you spend on cigarettes? Imagine a process that actually makes it easy and simple to quit in only one session. After years of working with thousands of clients I utilize techniques that help empower people and help them find ways of effectively eliminating their anxiety with hypnosis. What if you could find a way to both help your employees save their own lives and improve their quality of life, and in turn improve their performance for your business and generate more money for you? Hypnosis can simply be defined as a state of heightened suggestibility in which you’re able to reprogram your mind and body for success. We have some of your questions answered here. Are you struggling with issues related to trauma, grief, addiction, anxiety, or major life changes? There comes a time when help is needed from a certified professional to cope with many of life’s challenges. 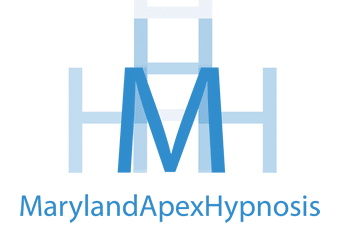 I’m a licensed clinical social worker and certified hypnotist in the greater Baltimore Maryland area, and I’m here to support you on your journey toward healing and self-discovery. “My daughter started seeing Jeff as our family was entering into a seperation period. My fear was that she would have a hard time opening up but that was laid to rest immediately. Jeff was able to get her to open up and he also taught her ways to handle her emotions in a healthy way which was life changing. I’m very appreciative of Jeff specifically for helping our family. I highly recommend Jeff to work with children who may be suffering from depression and anxiety. “1 1 / 2 years have gone by since I have smoked a cigarette. At least that is what you told me when I reached out to him a few months back to see if he does hypnosis for other issues. He keeps track. I however, do not. I never have. My experience has been so effortless, it boggles my mind. In fact, the only time I think of smoking is how amazed I am that I never really want a cigarette. Or when I tell people about my experience and offer them he’s contact.